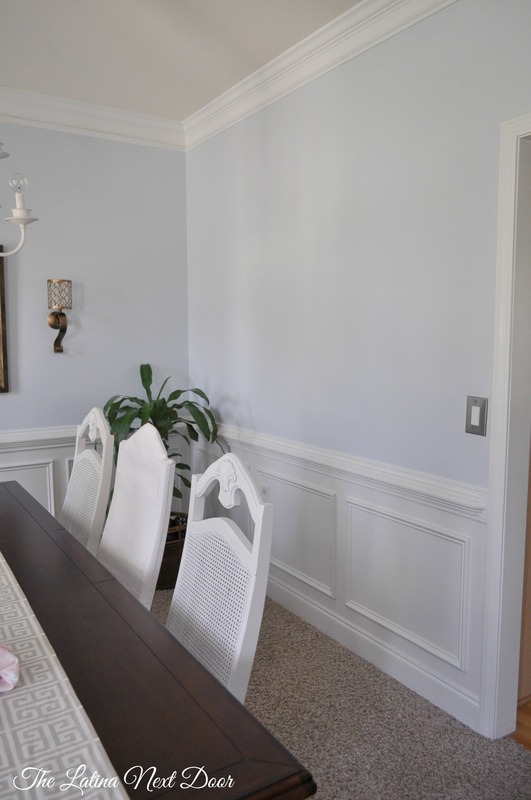 Okay my friends, the time has come to share the progress in my dining room. It currently is the most put-together room on our main floor. 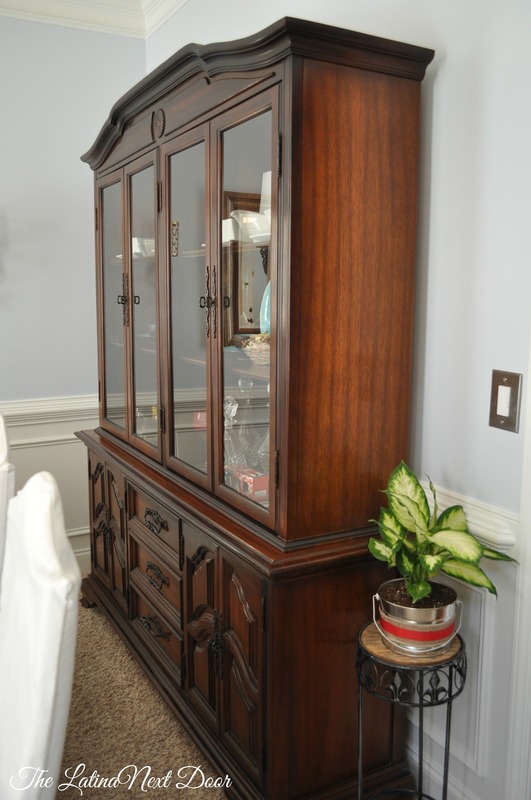 And since it’s located directly at your left when you enter our home, I like to make it look good for first impressions. …. and then you enter the “real” rest of the house 🙂 ha! 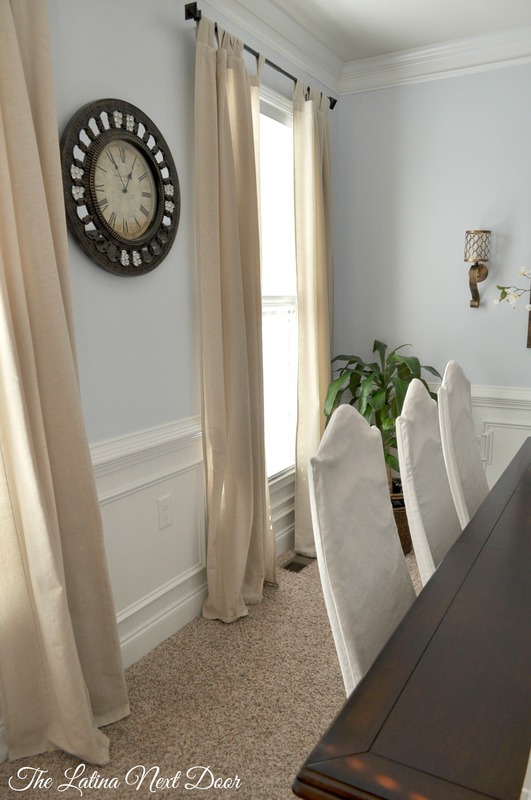 Okay, so let’s take it WAY back to one of the best Craigslist purchases ever… remember the dining chairs I transformed here? 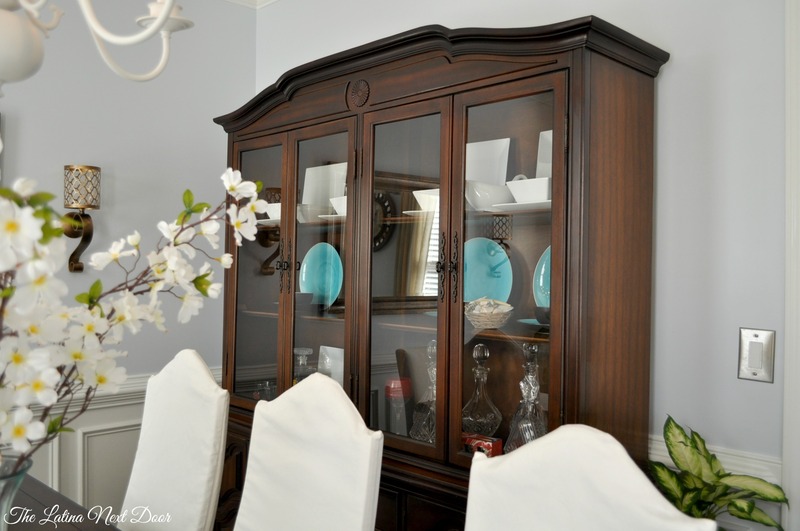 Well, when I purchased them, I also purchased this china cabinet and a table top for….. WAIT FOR IT…………. 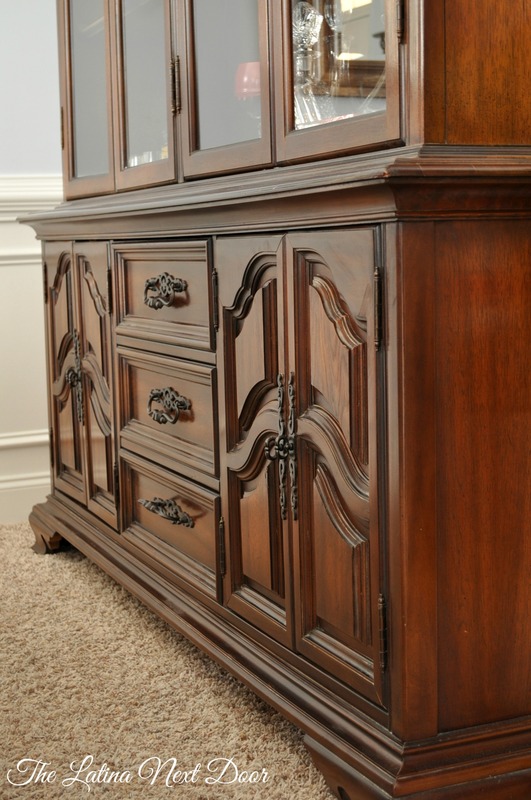 WAIT FOR IT………..Okay, it’s here… $125.00. Yep! Score! But it had good bones and it was huge! It had been in storage for a while, but you could tell it was well made. I had originally planned to paint it, but due to the lack of enthusiasm I had for the amount of time and effort it would take…. since ya know, I had just given BIRTH not long before…. We decided to see if we could restore it back to it’s natural glory days. I researched some simple products and bought them. 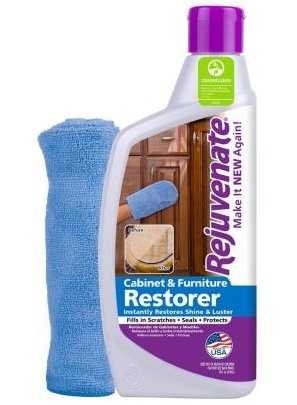 One was Rejuvenate ($13.97) from Home Depot. You can find out more about it here. And the other was Dutch Glow (9.99) from Bed Bath & Beyond. More info here. 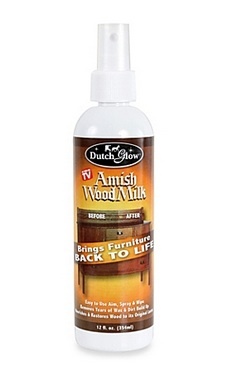 I used the Amish Milk to clean and the Rejuvenate to restore and add shine in the end. 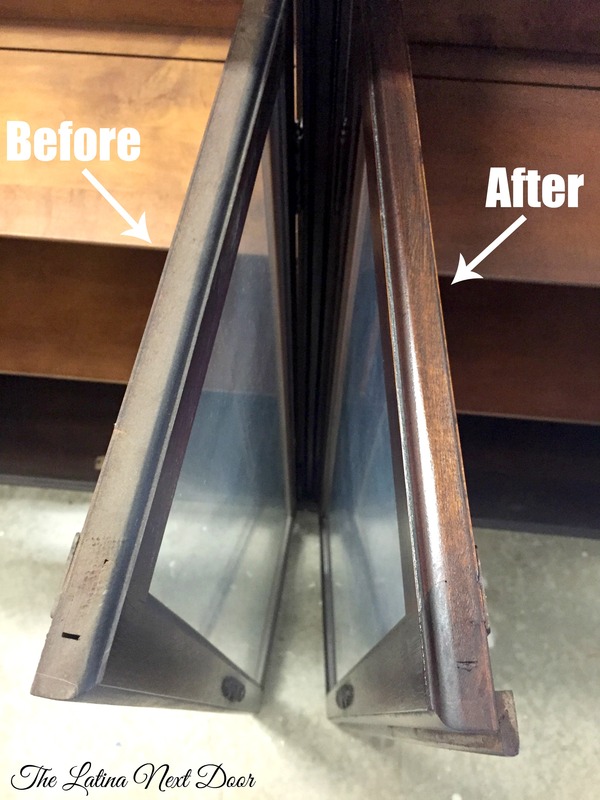 I applied with a clean rag and you could see the results almost instantly.Below you can see what it looked like with just the Wood Milk! Amazing! After going through it all, both inside and out, I cleaned the glass with just Windex, and that too made it look so much better! I will say that just wiping it down took FOREVER! 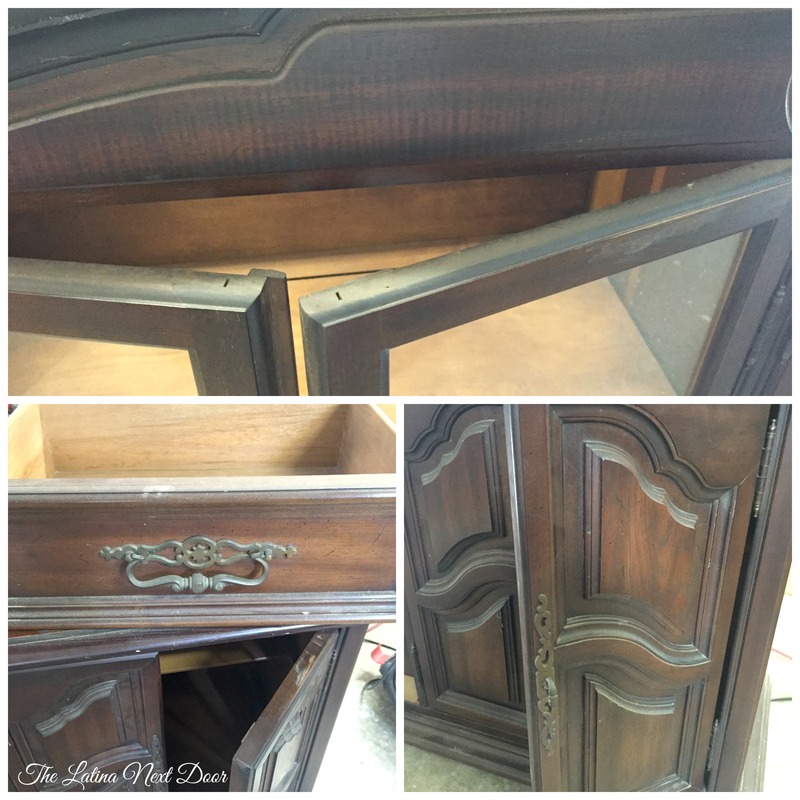 So if you are looking to do something like this, patience and elbow grease are key here peeps! 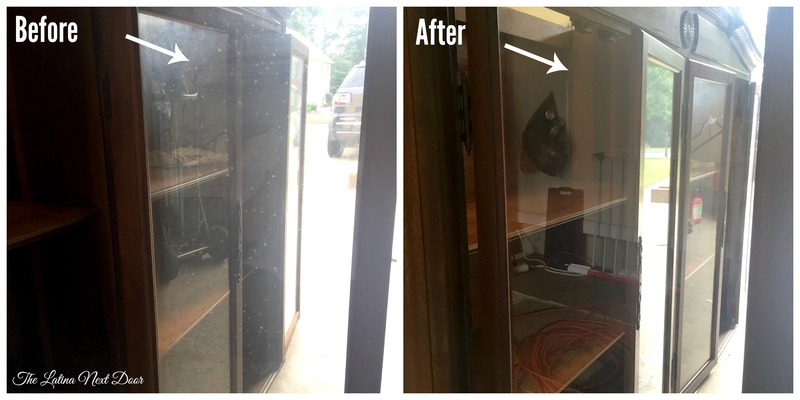 The products worked great but the cabinet was so dirty it took a good bit of time to get it done (there, I warned ya!). Okay, moving on…. The hardware was in great shape, but the brass was too worn out so I just wiped them cleaned and spray painted them with some ORB spray paint I had leftover from another project. 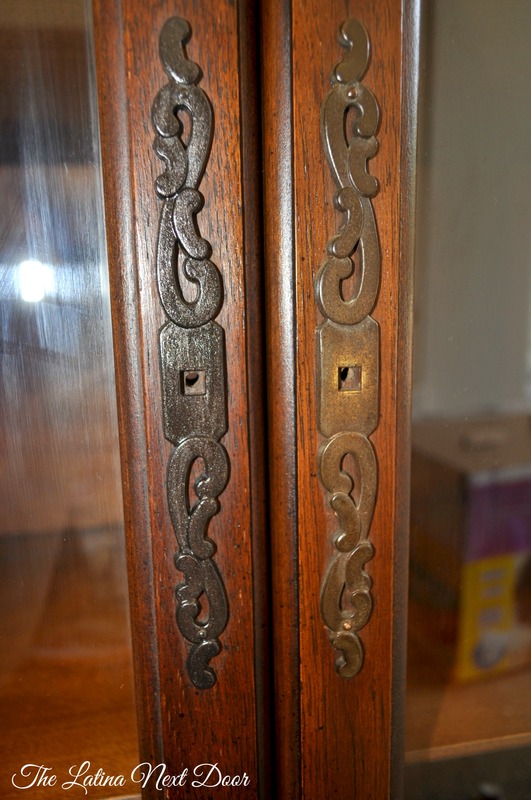 I removed the drawer pulls and handles but I could not remove the decorative pieces like the ones below. So what I did was, I just sprayed some paint into a glass container and painted the paint on with a small artist brush. Good as new! The left one was right after I had painted it which is why it looks a little splotchy. It dried evenly though and looks as good as the parts I removed. We didn’t have to do much else to it except we decided to buy new magnets for the doors since the ones it had were a little worn out. Then with the help of one of our dear neighbors, my husband was able to get it in to fill this empty space here. And Voila! Here is the finished piece. Ain’t she purdy!?!?!? And remember that little plant? I wrote about her here. 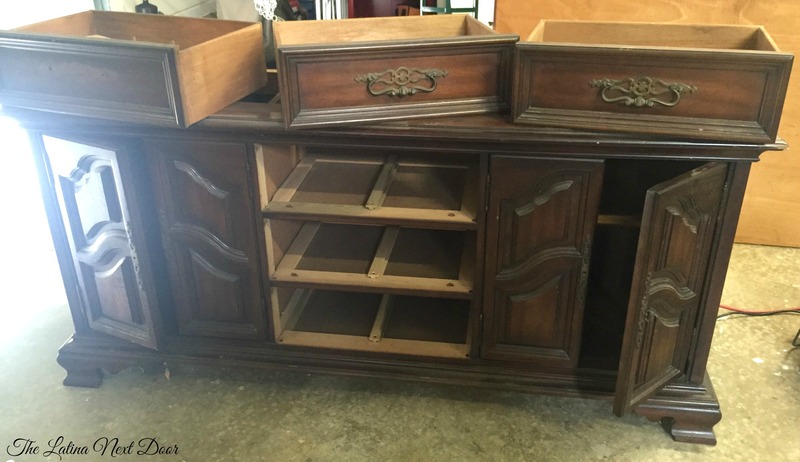 Obviously, this piece is old so not all the scratches came off and it does have some wear in a few areas, but she looks pretty good considering…. we will call that “character”. It’s nice to have a little rich, dark drama to the space. And as far as the rest of the room goes, my mother-in-law helped me finish making the slip covers for all of the 6 side chairs. I used a white denim fabric and I love the nice crisp white look they bring. Plus, if they get dirty all you gotta do is stick them in the wash! 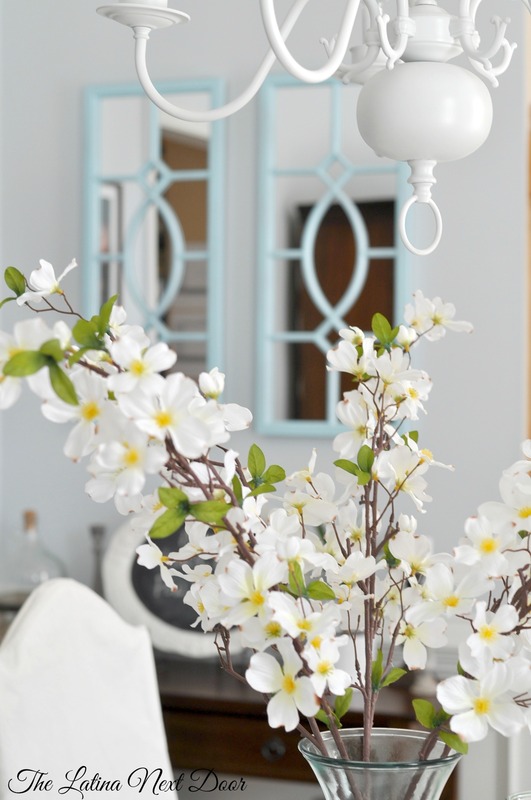 I moved the larger floor plant to the other side of the room and added 2 sconces on either side of the mirror. Got those babies at Hobby Lobby (but still haven’t put candles in them yet… just pacin’ myself folks!). That table runner was made by yours truly as well. Full tutorial here. Not much going on here. Looking forward to replacing that really old clock (that runs a little slow) and getting me a nice white one Joanna Gaines style. Here is your view from the mirror. 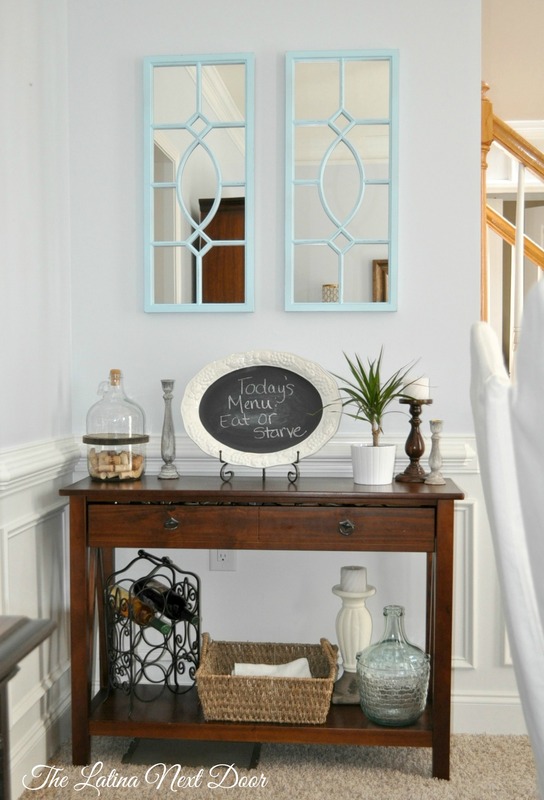 As you can see I changed out my previous DIY artwork with 2 Ballard Designs style mirrors from Homegoods. Their version $149.00 each. My version $7.99. YES, $7.99 each! Still working on styling this area, but getting closer to figuring it out. Like my candlesticks with no candles? Yep, such is the life of a boy mom. Well I hope you liked this post! 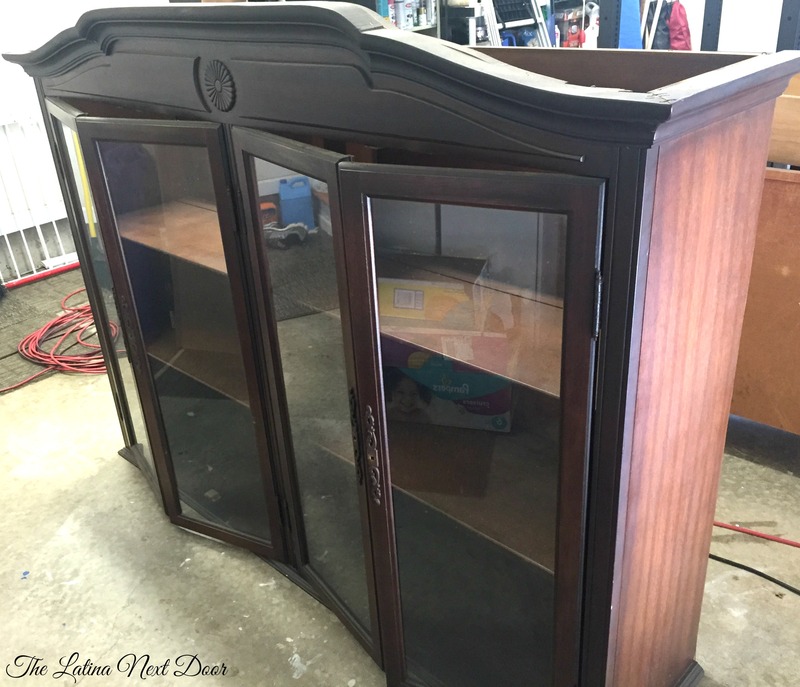 In the end it only took about $30.00 to bring my china cabinet back to life. 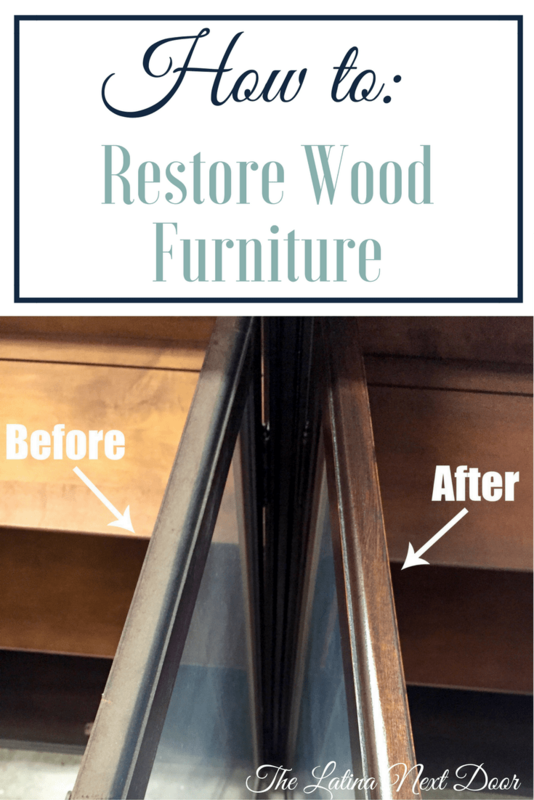 So if you have something stored away that looks pretty dingy but you don’t want to paint it or go through the trouble of re-staining it, try these products out. They are great products for the price you pay! 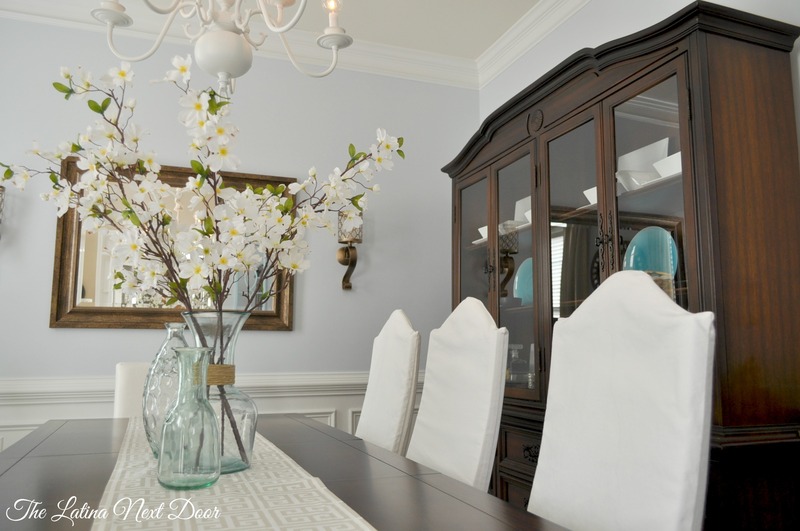 I would love to know what you think of the updates to the dining room as well! Feel free to comment below! 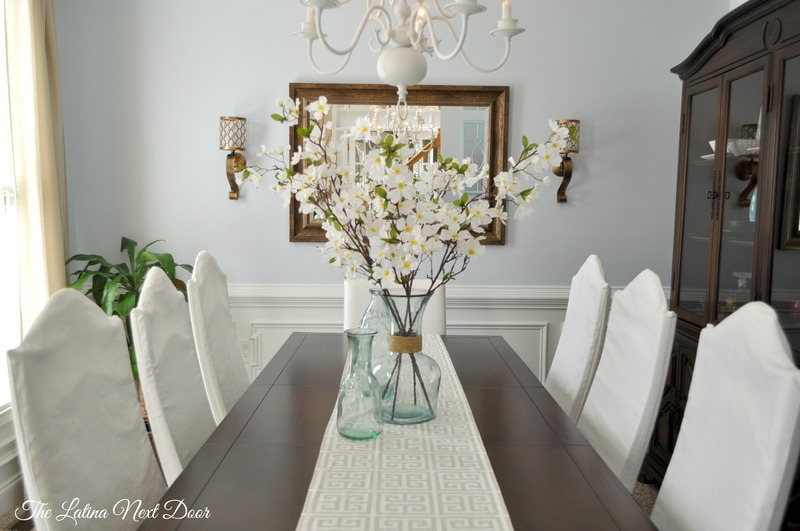 Check out other awesome DIY project’s over at the DIY Like a Boss Link Party where they showcase awesome projects every week! GREAT Job! LOVE that piece!!! 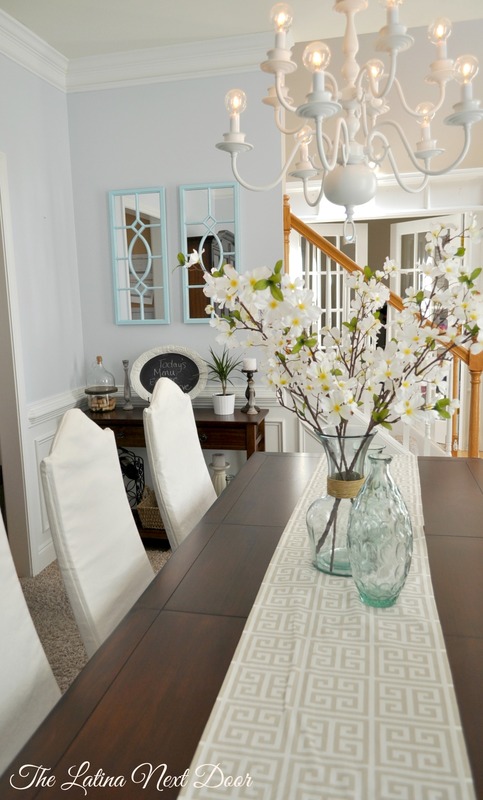 Dining Room looks FABULOUS! Classy & ELEGANT! Thanks Judith! I always like to know what you have to say! I’m glad you liked this one! 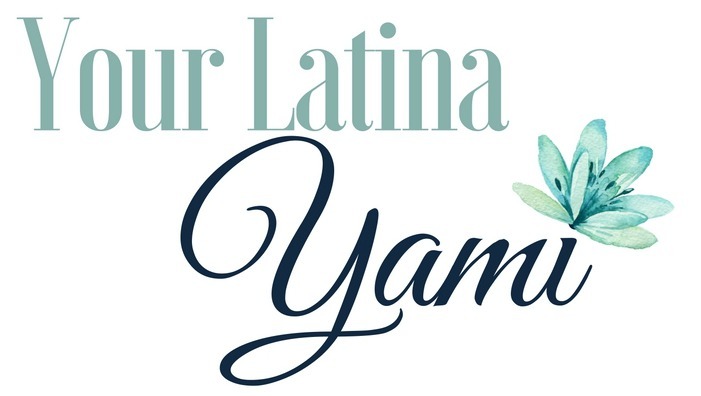 Awesome job Yami! So creative and I feel ya I hate painting, I think keeping the original wood worked out better though! I want you to help me when we move into a new house! ? Thank you, thank you, thank you for those kind words! And hopefully I will be able to help once you do!